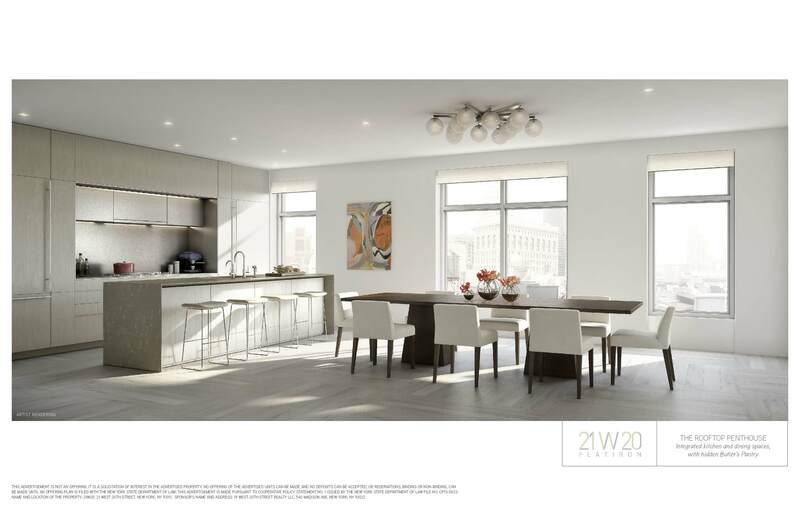 Development firm Gale International is diving into the New York City luxury condo market with 21W20, a boutique condo building in Flatiron that, among other features, will boast 100-foot wide homes. 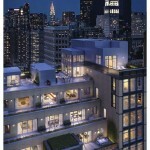 The ground-up development on West 20th Street between 5th and 6th Avenues will have just 12 units, including three penthouses and nine “tower” units. The three penthouses include PH1, priced at $13.5 million and located on the 11th floor, which has four bedrooms, four and a half bathrooms, 4,841 s/f and an additional 541 s/f of terrace space. The $15 million PH2, on the 12th loor, has four bedrooms and four and a half baths and will have 4,663 s/f plus 525 s/f of terrace space. 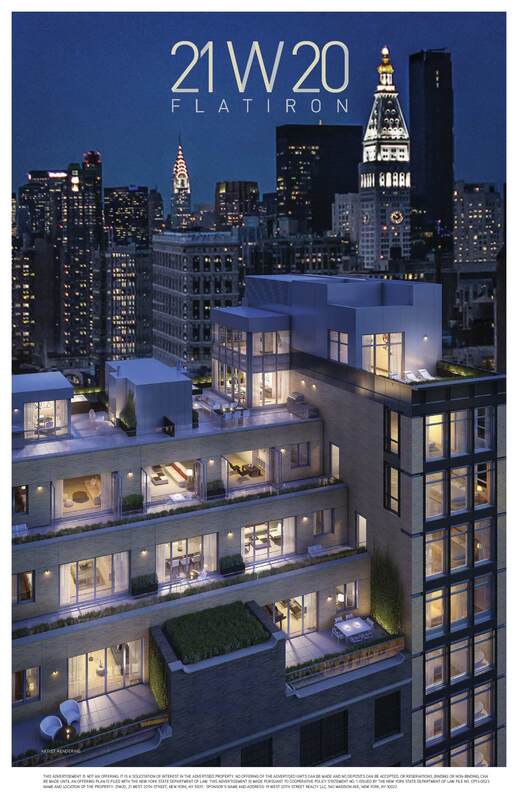 And the rooftop penthouse, priced at $35 million, combines the 13th, 14th and 15th floors and will have five bedrooms, six bathrooms and two powder rooms. It will have 6,910 s/f plus a 2,648 s/f of terrace space. The tower units have not gone on the market yet. Features of the modern apartments include distinctive touches like kitchenettes in the master bedroom, butler’s pantries in the kitchen and six-inch solid rift white oak hardwood floor in a 54-inch custom square patterned design. The building will have a 24/7 concierge, a private lounge with kitchenette off an outdoor garden, refrigerated storage for grocery, flower and beverage delivery, storage units available for purchase, and a pet wash station in the resident common room. Gale took steps to ensure attention was paid to the little details — they did a study through marketing agent Halstead and Terra Holdings to find out what high-end buyers wanted in a home. 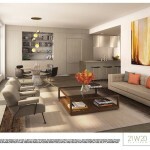 “That was important for us to design it from the inside out and be the owner’s developer instead of just the developer and then releasing it and saying take it if you want it,” said Gale, Jr.
21W20 joins a slew of other ultra-luxury buildings in the Flatiron/NOMAD area, including the Whitman, 1 Madison Park, 18 Gramercy Park and 35XV. 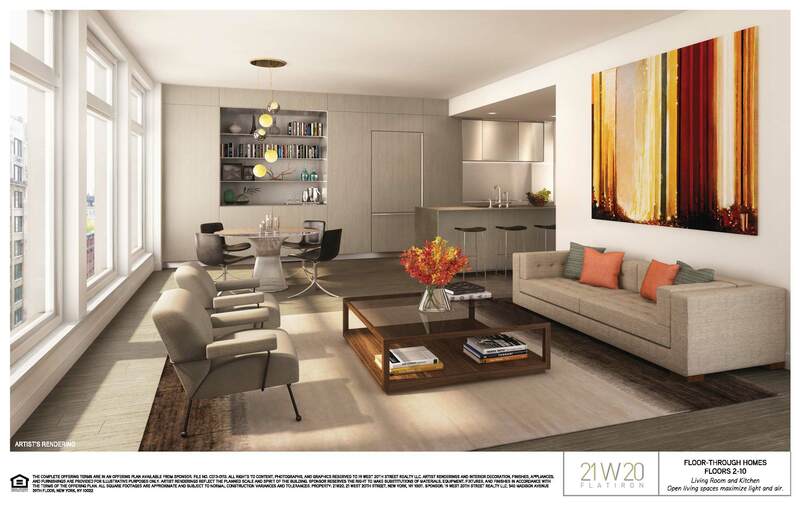 Though 21W20 has attracted a lot of interest from international buyers, Gale, Jr. said the homes are viewed seen less as an investment strategy than as a home. The project got its start back in 2012, when Gale was “poking around the market” and reached out to Massey Knakal co-founder Bob Knakal, who pointed them toward a site on East 20th Street that Extell then owned. “We bought a shovel-ready site, did some redesign and saw the market moving to a place where larger units were in high demand and there was very little supply of that kind of thing,” said Gale, Jr. The building is slated to be completed in the first or second quarter of 2015. It’s currently in the foundation process. Gale, a company that was founded by Gale Jr.’s great-grandfather in the 1920’s, has worked on a number of projects in the commercial and residential market. 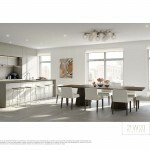 Notable projects the firm completed include the Lafayette Lofts in Boston a warehouse conversion completed in 2005, a master-planned community of more than 5,000 single-family homes in Bedminister, New Jersey, and One Lincoln Street, a 1.1 million s/f office tower in Boston. But perhaps the most unique project the firm has done is Songdo, a $35 billion city the firm was hired to build in South Korea 12 years ago. The city will have a Jack Nicklaus signature golf course, hospitals, schools, and parks modeled after Central Park. The project is 70 percent complete and, once finished, will contain a total of 100 million square feet. 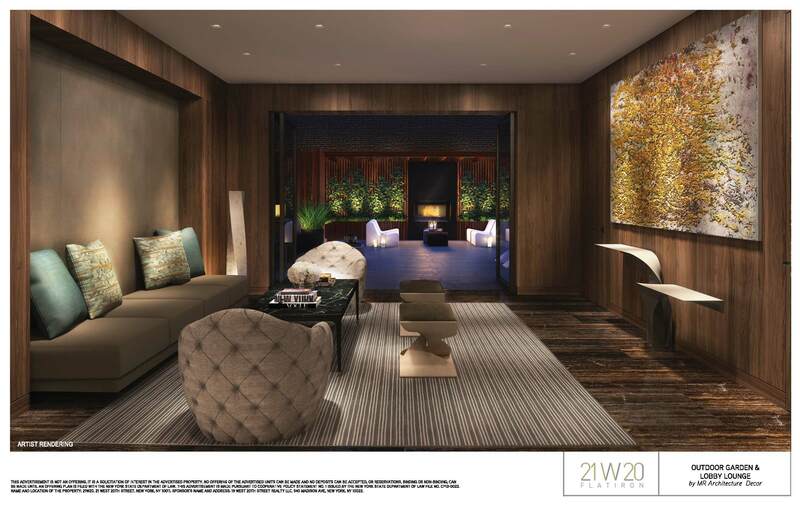 With Gale’s first Manhattan offering of 21W20 already making a splash, the company is not opposed to another luxury building.